1. Don’t let lack of gear prevent you from fishing. You can borrow equipment for free at over 55 Ontario Parks! The OFAH/OPG TackleShare Program lends rods, reels and tackle for free to children and novice anglers. 2. Check your gear before leaving home. Ensuring your rod and reel work smoothly, your line isn’t tangled and that you have extra lures in the case of (inevitable) snags. This way you can start fishing as soon as you arrive at your favourite spot. 3. Baiting is job best fit for grown ups. However, don’t let that stop you from letting your kids pick up the worms. This builds their comfort level and confidence with the sport. 4. Have a wet rag on hand. This can be used to clean your hands after handling fish or live bait. Avoid disposable wipes, which are often scented and a turn off to the fish. 5. Pack an extra bag for the kids. Make sure its filled with snacks, treats, water, colouring sheets and markers. Also, a small pop-up tent can protect your kids from the sun when they are taking a break. 6. Swap out the monofilament for braided line. Most kids’ fishing rods come with monofilament, however braided line helps with castability and sensitivity. According to Clapp, this simple switch means that kids won’t fight with their equipment and will be more likely to enjoy their fishing experience. 7. Keep a PFD on young anglers who cannot swim. Even when casting off a doc or a pier a PFD shouldn’t be forgotten. Remember that everyone in a boat or canoe must have a PFD on at all times. 8. Easy-to-catch species rarely require more than a hook, a bobber and bait. Clapp suggests this set-up to help you child keep their line tight if you don’t have a bobber: Set up a drop shot rig with a weight below the hook, which keeps the hook readily available for the fish. Tie the hook as you would normally do but make a longer tag end, which you tie a small weight to. 9. 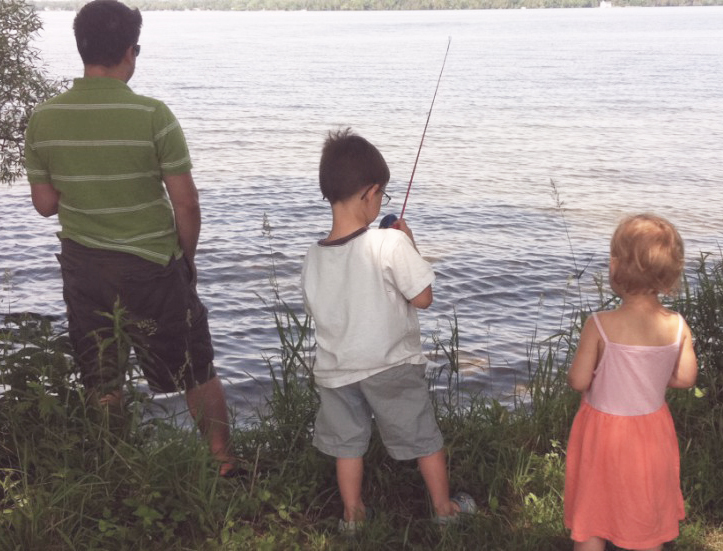 Take part in Ontario Family Fishing Events. Like the License Free Week, June 30th – July 8th, 2018. During this time, Canadians can fish for free and without the mandatory Outdoors Card. Remember to follow the Conservation fishing license limits set out by the MNR. 10. 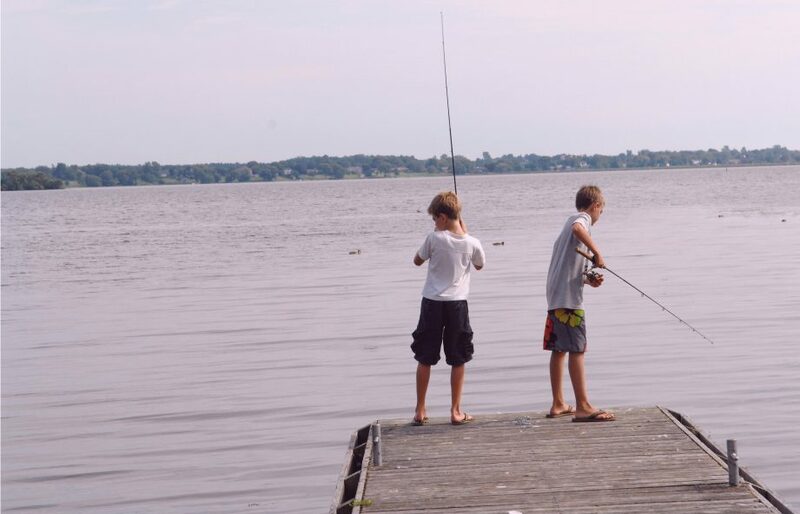 Give your kids a taste of competitive fishing by participating in a derby! These fun events are a great way to try out a new fishing spot and meet other other families who are passionate about the sport. Keep an eye on our Events Calendar for information about upcoming fishing derbies throughout the region. Follow us on Facebook, Instagram and Twitter and sign up for our newsletter for more of what happens here in the BoQ.